This two-year degree is a combination of nursing and transfer credits. For more information, please look under the “More Details” tab. This Associate Degree qualifies you to take the National Council Licensure Exam (NCLEXLRN) to become a Registered Nurse (RN). The OCCC Foundation offers several scholarships specifically for students accepted into the nursing program. Continuing nursing students and those who have applied for acceptance into the next cohort are encouraged to apply for these scholarships. Learn more about OCCC Foundation Scholarships here. 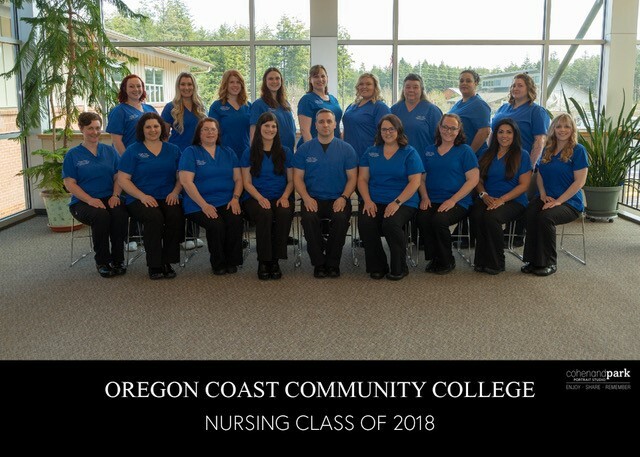 Oregon Coast Community College (OCCC) has a co-enrollment agreement with Linfield College and the OCCC Nursing program to give students graduating from our program an opportunity to pursue a Bachelor’s in Nursing degree. The Co-Admission Agreement between Linfield College and OCCC facilitates student progression from the Associate of Applied Science degree program to the Bachelor of Science degree program (RN to BSN) through consistent program communication, curricular coordination, and focused academic advising. Collaboratively, we are promoting successful undergraduate educational experiences for our nursing students. Alert: The deadline to apply to the OCCC Nursing program is March 29, 2019. We request that THE OFFICIAL TRANSCRIPT EVALUATION PROCESS BE COMPLETED BY JANUARY 18, 2019. As this process may take longer, we will accept transcripts after this date, so long as all official evaluations are completed by the application deadline. 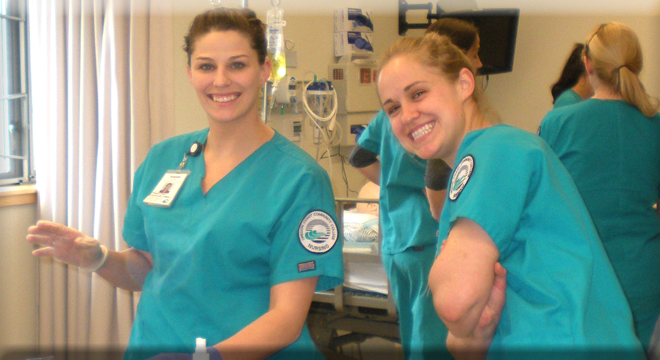 The Nursing AAS is designed for the person intending to work as a registered nurse in the health care industry. Use a holistic approach to develop, implement, and evaluate plans of care for groups of patients that apply standard nursing care plans to meet individual needs. Communicate effectively and collaboratively in a self-directed manner with patients, families, and members of the health care team. Use first-level management skills in providing care for individuals and groups of patients. Make decisions regarding patient care based on professional values and responsibilities at the associate degree nurse level while complying with identified legal/ethical standards (scope of practice regulations established by boards of nursing and Code of Practice guidelines established by the American Nurses Association).